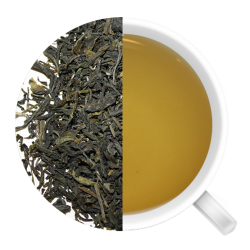 This antioxidant-rich jasmine green tea is said to lower cholesterol, ease anxiety and promote well-being! 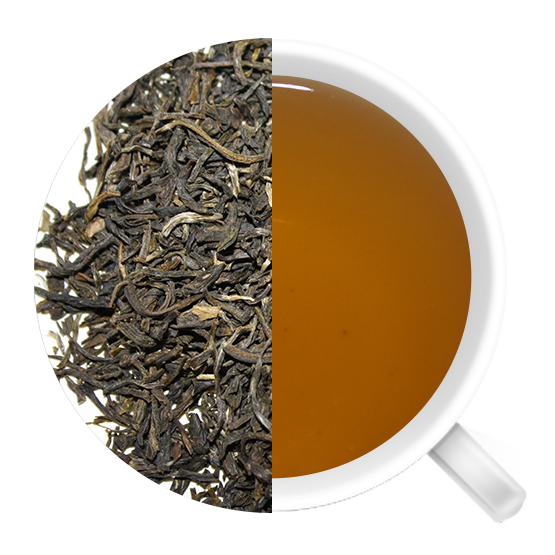 Originating in China, jasmine tea comes from tea leaves that are blended with fresh jasmine flowers in a traditional scenting process. 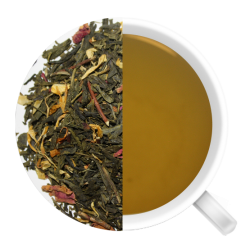 This antioxidant-rich jasmine green tea is said to lower cholesterol, ease anxiety and promote well-being! Originating in China, jasmine tea comes from tea leaves that are blended with fresh jasmine flowers in a traditional scenting process. Jasmine tea is recommended as a traditional Chinese medicine to increase circulation, soothe digestion and break down saturated fat. Its scent has also been known to be a romance enhancer, so get the pot steeping and enjoy! 50g makes: 50 cups (based on 3 g per 8oz of water, infused 3 times).